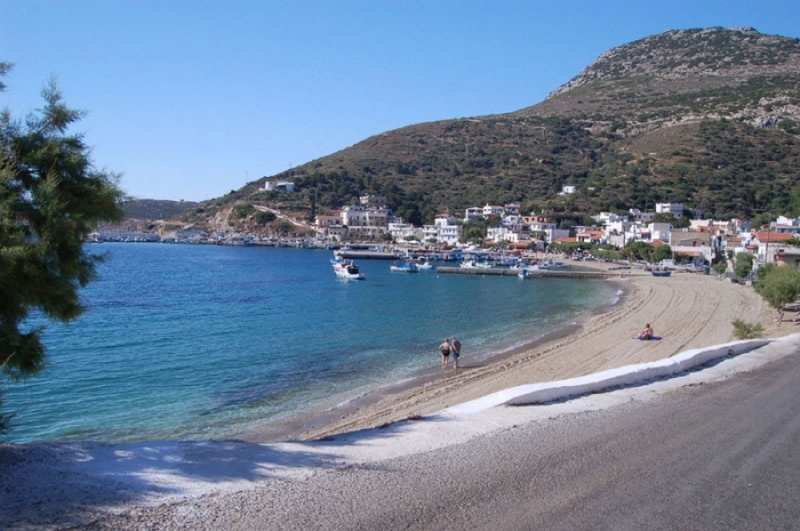 Fourni village is built amphitheatrically around the port and has about 1.033 permanent residents. Despite the passage of the centuries, the central district of Fourni, has been maintained almost intact. It is full of quaint streets and of traditional architecture houses, both very well preserved, which stand out due their simplicity and the whole atmosphere they create in general. The white and blue painted houses, combined with the colorful boats of the harbor, create a truly magical scenery. A walk through the narrow streets of the village will take you to past times. When you reach the main square, make a stop at one of the cafes you will find there and pass some time in the shade that the tall trees offer generously.